The Russian Media Lab is well-represented at this year’s Aleksanteri Conference. The project is hosting two panels and one round table, featuring presentations by our researchers, network partners and invited guests. Further details on our panels can be found below. Please consult the Conference website for the latest version of the programme. We look forward to seeing you there! This entry was posted in Yleinen on 22.10.2017 by Marielle Wijermars. The Russian Media Lab has initiated a collaboration with the international art project “States of Control” curated by the St. Petersburg-based Creative Association of Curators (TOK). Upon invitation by TOK’s Anna Bitkina and Maria Veits, project researcher Saara Ratilainen took part in the performative talk show “I’ve Got the Power!” on 19 August 2017. 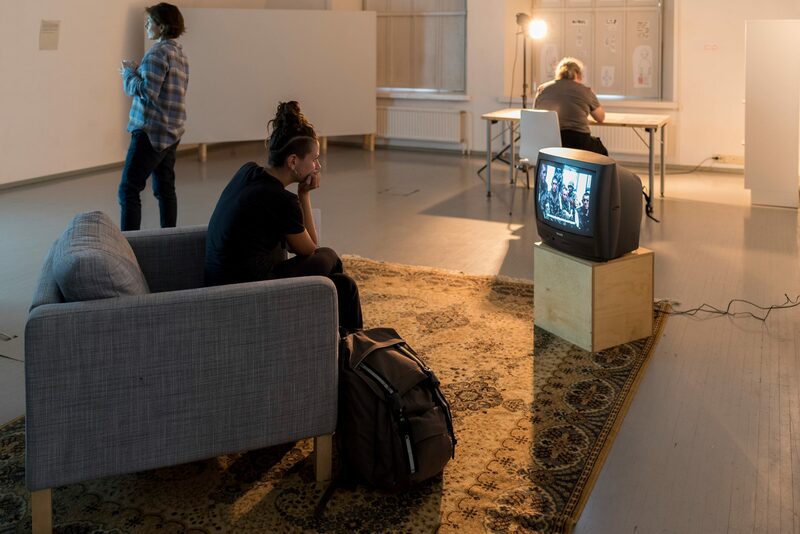 States of Control took over Finland in August with a series of exhibits and performances at the Alkovi and Augusta galleries in Helsinki. 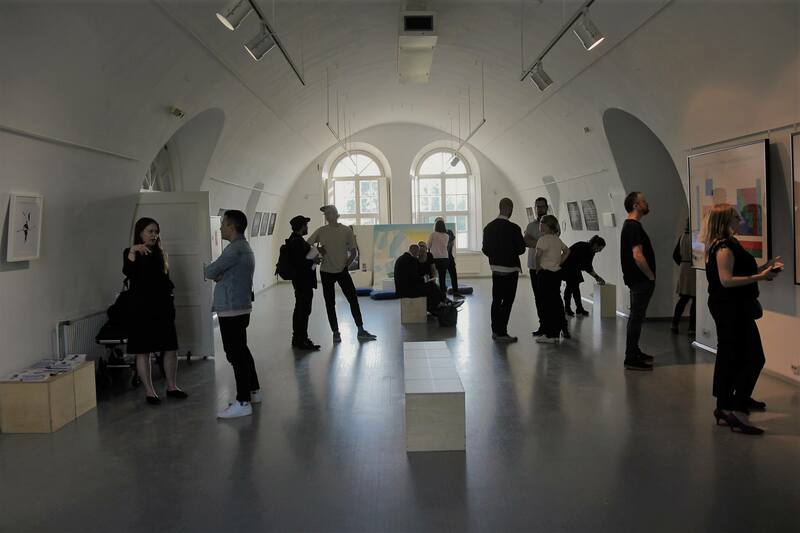 The events were organized in collaboration with the Helsinki International Artist Programme (HIAP) “Connecting points” curated and coordinated by Finnish artists Miina Hujala and Arttu Merimaa. 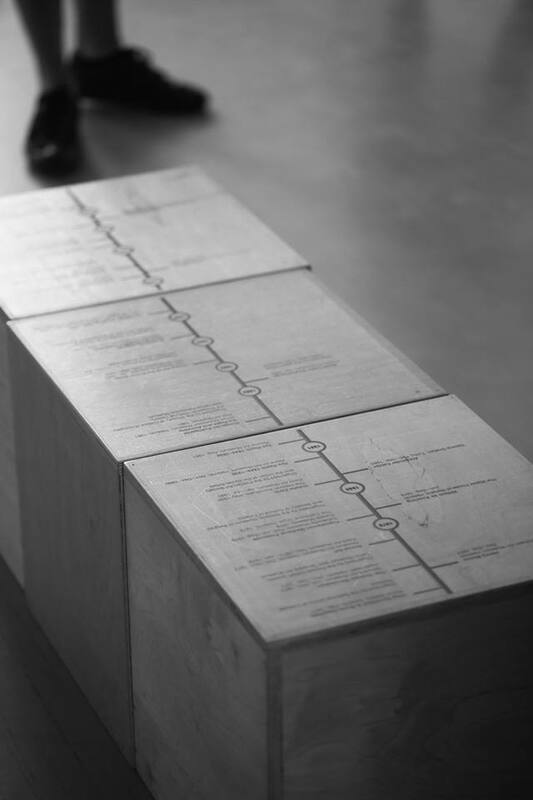 One of the central aims of the project is to advance the role of art in understanding the most difficult political questions of our times: occupation, border control, immigration and propaganda. 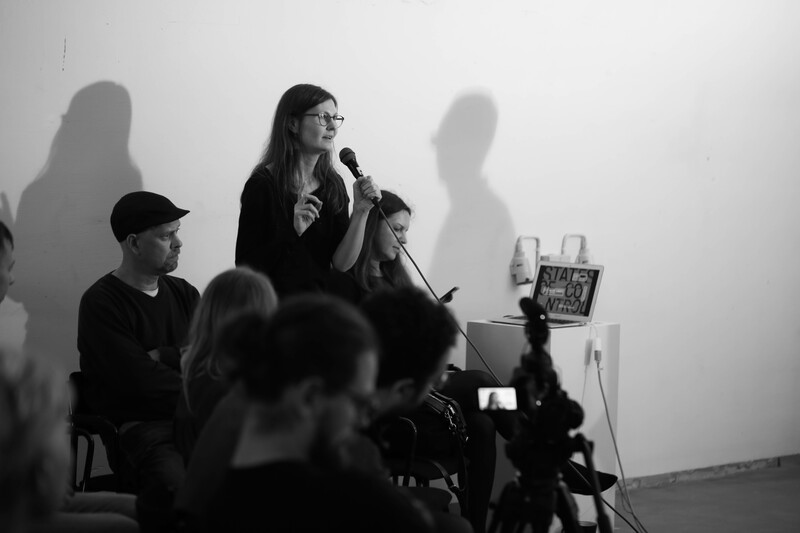 The topics discussed through art projects curated by TOK overlap with the central research interests of the Russian Media Lab, namely emerging spaces of freedom of expression in different areas of cultural production. 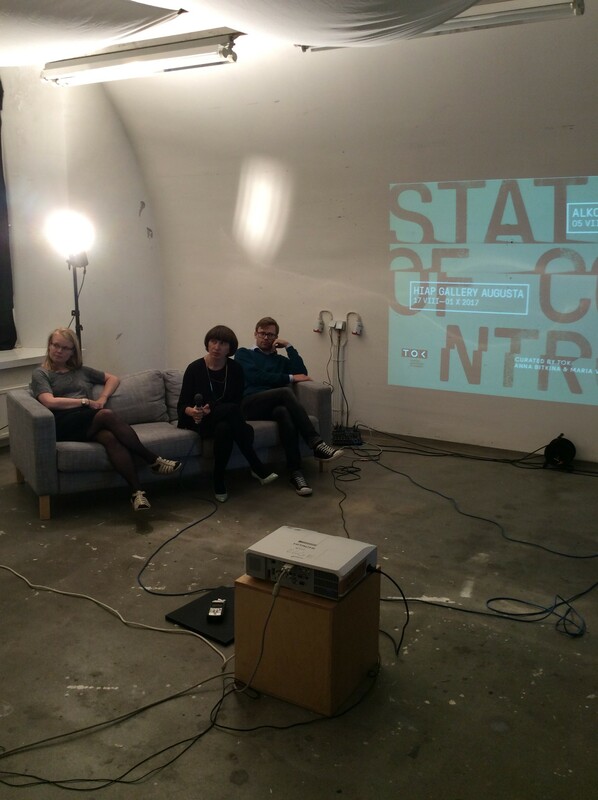 “States of Control” is a continuation of TOK’s ongoing research into changing media strategies that the curators started in 2014. Their first research results were presented at the exhibition “Propaganda News Machine: Constructing Multiple Realities in The Media” at Flux Gallery in New York City in 2016. 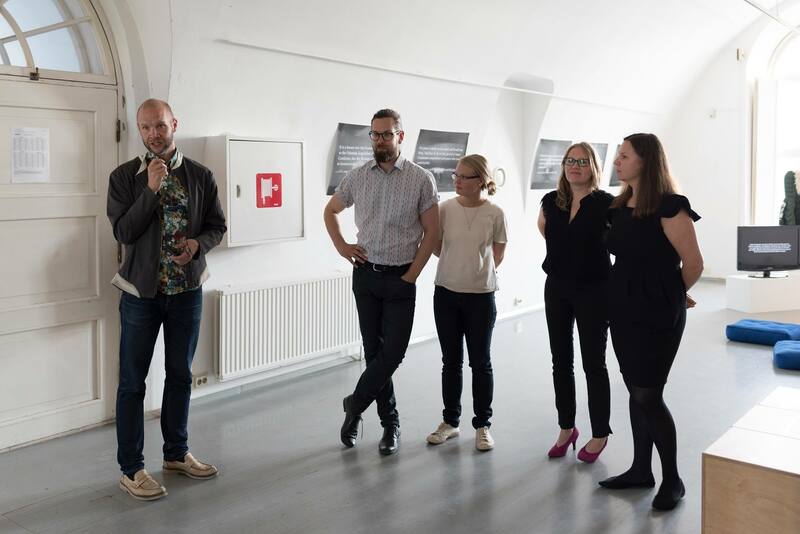 TOK continues the project by carrying out research and engaging more artists and other professionals into its activities, beyond Finland and the U.S. This entry was posted in Yleinen on 16.10.2017 by Marielle Wijermars. To read the full cfp, please click here. This entry was posted in Yleinen on 3.10.2017 by Marielle Wijermars.